I've spent the last 21 years living and working in the Catalina Foothills helping buyers and sellers with their Real Estate needs. Since 1998 I have been in the top 5 of Tucson Realtors and the #1 Realtor for the last 5 years. I am committed to helping our sellers through the process by giving them my knowledgable and professional opinion on their home. This includes it’s condition, the current Tucson Real Estate market and what price the house should be listed at so that a seller can make correct informed decisions. My Real Estate experience and professionalism, along with attention to detail, gives our sellers peace of mind and satisfaction that we have their best interest as my #1 priority! White glove service—that's what I aim to provide in every single transaction as a REALTOR®. I'm not content simply to go through the motions; I make sure that each and every one of my clients' individual wants, needs, and concerns is addressed throughout our time working together. 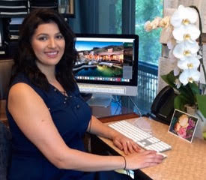 I started down this career path because it was a great option for me as a new mother, and fell in love with it because it allowed me to show buyers around this beautiful town I call home. 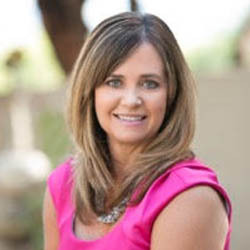 As a University of Arizona Business graduate, I bring nineteen years of experience in real estate to the table, along with strong negotiation skills and a knack for communication. I count my interpersonal skills among my strengths. People are at the heart of everything I do, and I make sure I assess their needs with intuition, an open mind, and a can-do attitude. One of my mantras is to 'be kind, be fair, and be funny.' I'm lucky enough to have a family that helps me become the best version of myself every day—I have two wonderful children and I've been married to my high school sweetheart, a fire captain at Northwest Fire District, for twenty-nine years. When I'm not spending time with them, I enjoy exercising and reading. As a Tucson native, I know that the value of our town lies in its strong community, mountain views, and temperate weather that allows us to enjoy the outdoors (almost) year-round. As your REALTOR®, it would be my pleasure to discuss the many benefits of Tucson living with you today! As Janell’s marketing coordinator I oversee the process of listing your home up to the point that we receive an accepted contract. Coordinating photography,website syndication, floorplans & your home marketing book to start the process. Give you timely feedback from other Realtors and their clients who have seen your home. Produce marketing advertisement that places your home in front of as many prospective buyers as possible. I strive to make the process of selling your home as stress free as possible. 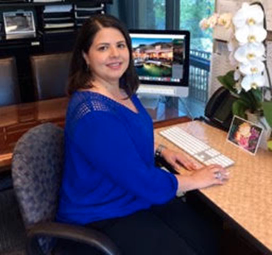 As Janell’s licensed real estate transaction coordinator I rely on my 15 years of experience in real estate to oversee all aspects of escrow transactions from accepted contract to closing. Coordinating title/escrow, mortgage loan and appraisal processes. Schedule inspections, assist in negotiations regarding repairs and coordinate completion of repairs. Regularly communicate with clients, agents, escrow officer and lender throughout the escrow period with results-oriented initiative. I look forward to a successful working relationship and effortless closing process. As a native Arizonian, I feel so grateful for being able to live and work as a REALTOR® in my most favorite place…Tucson! My 30-year career has taken me from college, to my first entry level sales position to Sales Director positions in Technology & Telecommunications and finally…to my ultimate passion and career choice, Real Estate! Having the ability to join the team of Janell Jellison and Paula Williams as a Buyer’s Agent is such a natural fit. Our desires to provide representation with the upmost integrity, personal service and knowledge of this beautiful city, provides our clients with over 45 years combined experience in the Tucson Real Estate market. When not spending time with our valued clients, my interests include exploring the Sea of Cortez with my husband, my beloved Peloton bike and volunteering/fostering for a local animal rescue group. I would be honored to be able to help you find a house you can call home. Janell and her team were amazing from start to finish with the marketing, promotion and care of our home. The amount of respect and dedication shown to us (being out of town) and the high level of communication shown was incredible! Our house sold in three weeks! The photos online were stunning. The hands on care given to ensuring everything was perfect always was fabulous. I can not rave enough nor be thankful enough for having them help us sell our house. Janell her team were always available to answer any questions we had or take care of what needed to be done. They explained everything to us and walked us through all the steps to sell the house quickly and at a price that was fair. It was a pleasure doing business with her and her team. Janell and her associates are not good.....they are not great, they are ABSOLUTELY FREAKING FABULOUS. When it looked like the sale was going "south", Janell was a rock. Knows the market segement she deals in better than anyone in Southwest Arizona. There is NONE BETTER !!!!!!! 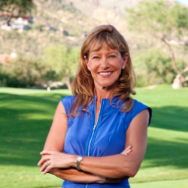 Janell Jellison is the best real estate agent in Tucson. She helped me price my property in a tough Tucson real estate market and was great at keeping me informed and keeping the selling process moving. Sold the property in a reasonable amount of time given market conditions. Get three different value estimates for your home instantly.